Blending new technologies with old-world techniques, Grainger Metal Works transforms steel, aluminum, copper, bronze, and other metals into architectural works of beauty. Before the industrial revolution, the village blacksmith was a common tradesman in every town; but today, with the advent of mass production techniques – true, quality artisan-blacksmiths have become a rarity. 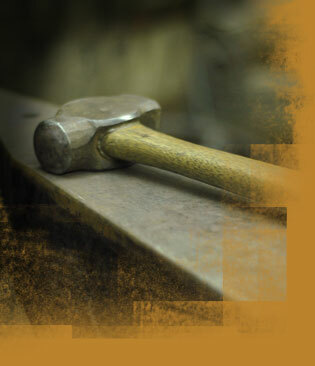 Grainger Metal Works, under the guidance of owner and master blacksmith Carl Grainger, proudly pursues that old-world quality craftsmanship and attention to detail using modern tools and equipment along with a coal forge, anvil and a hammer. Browse our online Gallery to see a collection of photos of past projects or visit the Press section to see what others have said about us.